Get ready Northern Rivers because Summer 16's is here. Please note that all games Scheduled to be played at Ballina and Byron Bay this weekend have been cancelled due to bad weather and ground closures. We will work to reschedule these games for an appropriate time in the near future. Tonight's AFLNRJ League meeting has been postponed until Monday 26th march. All clubs have been notified of this. If you are 15, 16 or 17 and keen to play AFL's most eXciting and most eXplosive form of the game in our all new Friday night fixture than watch this space!!! Come on down to the Cavanbah Centre this Saturday 9th december to see the Gold Coast Suns Open Training Session!! The Suns Super Stars are back in action!! This Weekend will see Ballina host the southern teams: Casino, Plateau and Lismore at Fripp Oval. While in the North Brunswick Valley will be hosting Byron Bay and Tweed Coast at Stan Thompson Oval. Suns Super Stars gets under way this weekend. This is the new 6 a side format for all Children Under 7 years transitioning from Auskick programs. Rd 1 See's Byron Bay hosting the Southern Teams, Ballina, Plateau and Lismore at the Cavanbah Centre,8.30 am. The Gold Coast SUNS have released an exclusive family pass offer to all AFLNRJ members for the up and coming GC SUNS V Adelaide Crows game. AFLNRJ are excited to announce the confirmed details of the 2017 Law Society Lunch on Friday the 16th June at the Ballina RSL function room. Following the success of last years event, the Far North Coast Law Society have again partnered with AFLNRJ for the fundraising luncheon. Due to the current weather status of Cyclone Debbie, it is with great disappointment AFLNRJ have had to cancel this weekends Pre-Season Cup at Byron Bay. This includes games on Friday night (31/3) and Sunday (2/4). Please circulate this message to your appropriate members and stay safe over the next 24 hours. All Clubs are now open for 2017 registrations. To register online please click the club nearest to you under the 'Club Websites' Tab. Nominations are now open for the 2016 AFL Queensland Volunteer and Coach Awards. The Holiday Superclinic is back in 2016 and is expected to be bigger and better than ever! The Superclinic is over two fun filled days and is for all kids aged 5-12- no AFL experience required. This year the Superclinic is on Thursday the 7th and Friday the 8th July at the Byron Regional Sport and Cultural Complex (Cavanbah Centre), Byron Bay. Due to ongoing wet weather, AFLNRJ have had to cancel all Junior Football Games on the Northern Rivers tomorrow (Rd 8, Sun 5th June). AFLNRJ are excited to announce the latest partnership for season 2016 with The Ramada Hotel and Suites- Ballina/Byron. AFLNRJ look forward to working with The Ramada and developing a close relationship over the course of the year. Dipper to the Northern Rivers! Get along to a NAB Challenge Game! Footy's Back! Sign on with your local Club for season 2016 today! Nominations are now open for the 2015 AFL Queensland Volunteer and Coach of the Year Awards. Preparations for the 2015 AFLNRJ Women in Football Luncheon are underway with the event once again shaping up to be one of the most memorable occasions on the football calendar. In October 2013 Queensland’s AFL community lost one of its greats, with the tragic passing of then State Development Manager, Troy Clarke, aged 44. Not only was Sunday Mother’s day, but it also marked a significant milestone in the history books of AFL Northern Rivers Juniors. Please be advised AFLNRJ Rd 3 has been cancelled due to ground closures of all three home venues. 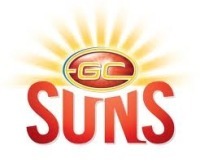 Summer Development Program: Gold Coast Suns Academy Testing. Gold Coast Suns are visiting Byron Bay! AFL Northern Rivers Juniors have launched a brand new U12 All Girls Competition which will kick off in the first week of May. Sign on to play junior AFL at your local Club for season 2015! Girls Play Too! Season 2015 will also see the first ever U12 all girls competition. 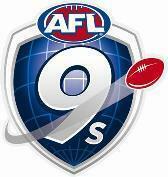 AFL 9s is once again coming out of hibernation to kick off the 2014 Social Season! After last years success, in 2014 we are bringing AFL9s to three separate venues on the Northern Rivers! Congratulations to Sean Radburn who was lucky enough to win the AFLNRJ Major Raffle on Sunday. Sean will be flown to Melbourne for the AFL Grand Final with one nights hotel accommodation included! Congratulations to the 2014 AFLNRJ Grand Finals Winners! In the U12 Division 1, Tweed Coast Tigers defeated Byron Bay 12.3.75 to 2.3.15. The U12s Division 2 saw Casino just pip Lismore 5.6.36 to 4.7.31. In the Under 14s Division 1 Grand Final, Tweed again proved too strong, defeating Byron Bay 14.8.92 to 3.6.24. Nominations for the AFL Queensland Volunteer and Coach of the Year Awards close Friday August 1. Come and join in the fun on Friday 1st August from 12-3pm at the Byron Beach Cafe for the 2014 Annual AFLNRJ Women in Football Luncheon. Round 1 Kicks off with a Bang! Monday Night marked the first Umpire training session of 2014. We we lucky to welcome two AFL Umpires Simon Meridith and Nick Liparota to take some of the session. Dont forget, if you would still like to register to Umpire this season, contact Molly Kenwood at aflnrj@gmail.com for details. A reminder of the first Umpire training session at Byron next Monday evening. This session will be a fantastic way to kick off the 2014 season with two AFL Umpires in attendance. AFLNRJ would love to see as many umpires represent the League as possible. All Magpie fans are encouraged to head along to meet their favourite players at the Collingwood Queensland/ Northern Rivers Family Day on Friday 28 February. Former Ballina Bomber and Lennox Head resident Jarred Ellis has recently been picked up by the Gold Coast SUNS to kick start his AFL Career..
Dont forget the 2014 Gold Coast SUNS Community Sign on is this Saturday the 8th of February! The family fun starts at 1pm to 4pm at the Byron Bay Regional Sport and Cultural Complex, Ewingsdale and will include games and autographs with Suns players, an inflatable AFL playground, BBQ and lots of giveaways! With the footy pre season fast approaching, its time to sign on at your Club! AFL 9s comes to Byron Bay! Congratulations to Byron Bay U12s and Ballina U14s on their 2013 AFLNRJ premierships! AFLNRJ have a story in the Northern Star (5/6/13). See this link to check it out! AFL Northern Rivers Juniors Indigenous Participation Scholarships a huge success. This weekend marks AFLQ's 'Thanks Ump' round. Celebration of AFL Kids First Round This Weekend! Due to the weather conditions changes have been made to draw. STAN THOMPSON OVAL WILL NOW BE PLAYED AT POTTSVILLE OVAL, POTTSVILLE. Sign on at your club now! Do you want to play AFL football? Are you from the Northern Rivers region? Then we want to talk to you! We welcome all players to come and train with the Storm. Congratulations to U/12 Byron Bay and U/14 Ballina teams. The SUNS will be at your local club from 4:30pm-6pm on Monday 30th July. The Storm game will be rescheduled to another date later in the season. Due to weather conditions and ground closures, training has been cancelled. All players must be registered to play. PROFIT FROM SAUSAGE SIZZLE AND GOLD COIN DONATED TO CANCER COUNCIL. If you are considering umpiring this year, it is compulsory for you to attend. Footy tipping is back and its BIGGER than ever! This season we have expanded the comp with heaps of extra cash and lots of really cool weekly prizes. Not only can you win cash prizes, but also other great prizes like a night at the Ramada Hotel, Ballina and more. All proceeds go towards helping grow our local Junior League, so get your mates to join as well. You can help your local junior club win free footy gear. For every club that signs up 25 tipsters, they get FREE footy gear. You will need to let your Club know you have registered. Register now to join in the fun. Include your tipping name as reference so we can identify payment. 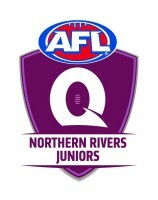 AFL Northern Rivers Juniors Inc. YOUR LOCAL FOOTY CLUB NEEDS YOU! Casino Juniors will be holding a fun day on 15 April at QE2 park. 9.30am - Sausage sizzle and games. Click here to find your nearest Auskick Clinic being held at your local school. GC SUNS players conducted a Super Clinic at Ballina High School with over 150 junior participants. Following the clinic, players took part in and AFL 9's demo match with junior participants and parents. Sign on for all new and current players will be taking place at Ballina High School Sports Ground, Cherry Street, Ballina from 1.00pm - 2.00pm on Sunday 5 February 2012. Stay around for the Superclinic with Gold Coast Suns players and grab an autograph from your favourite player. The Gold Coast Suns will head to the Northern Rivers region as part of the 2012 Australia Post AFL Community Camps. AFL Northern Rivers Juniors are calling for nominations of suitably accredited coaching staff for both U/16 and U/18 teams. Congratulations to all teams competing in today Grand Finals. Congralations to Charlie Morris (Lismore) Best and Fairest and Runner Up Best & Fairest Tully McDonald (Ballina). Congratulations to Kalani Fallon (Byron Bay) Best and Fairest and Runners Up Best & Fairest Doc Adams (Brunswick Valley) and Travers Golding (Ballina). Congratulations to Lincoln Pupangamirri (Byron Bay) Best and Fairest and Runner Up Best Fairest Stanley Kelly (Ballina). Contact your club for further information. 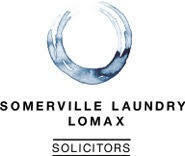 All Semi Finals are being played at Mortimer Oval, Lismore on 21 August 2011. All games scheduled between Lismore and Ballina are being played at MORTIMER OVAL, LISMORE. All games scheduled for Lismore this weekend have been moved to Round Mountain, Pottsville. The Representative Teams in age GroupS U/11 - U13 - U15 will be competing in the Challenge at Oaks Oval, Lismore on Sunday 3 July 2011. Training for all age groups is on Monday Night 5.00pm at Bangalow. We welcome First Sun Employment as major sponsor for the U/14 Northern Rivers Squad. The squad participated in the U14 SEQ Country Championships. Robert "Dipper" DiPierdomencio will be at Fripp Oval from 4.30pm on 24th May 2011. Click here for further information. The U/14 SEQ Country Championships are being held at Fripp Oval, Ballina on 21/22 May 2011. Jason Akermanis will be appearing at Kirra Sports Club on Friday 20 May 2011. For further information, contact Grant Mackenzie, Coolangatta Football Club. All games scheduled for Lismore this weekend have been moved to Shultz Oval, Byron Bay. NO games for AFL Northern Rivers Juniors will be played this weekend due to inclement weather and ground conditions. Congratulations to all players from Northern Rivers Juniors that represented their clubs at the Gabba on Saturday night in the "Guard of Honour" for the Suns first game. We wish the Suns all the best for their season. Photo's from game can be previewed in Photo Gallery - Promotions.